I’m a stubborn person—nice to meet you—and that manifests itself in a myriad of ways. In my professional life (we’ll leave the personal issues for a different piece), it means I’m as brand-loyal as they come. Which can certainly be difficult, given that I test new and diverse beauty products for a living. But every once in a while, a product will come across my desk that is so wonderful, my bullheaded tenacious attitude gives way to curiosity and pure kid-in-a-candy-store–level delight. Such is the case with Make Up For Ever’s Pro Sculpting Brow Pencil ($27). First of all, it’s a triple threat that will probably have all other eyebrow pencils shaking in their boots. That is, if brow products had boots—feel free to consult Who What Wear on that one. The retractable pencil-powder hybrid tip is shaped like a brow brush (angled upward and wider on one edge), which allows for a smooth, natural-looking line. It’s beveled for precision, and the formula won’t smudge during even the busiest of days, courtesy of a combination of vegetable oils and carnauba wax. The opposite end houses a rounded bristle brush for grooming your brows, and the middle (just unscrew and voilà!) has a sponge applicator to distribute a matte highlighting powder along your brow bone and above your arches. It glides on easily and illuminates in one quick swipe. I’m serious when I tell you I’ve never used a brow product like this before. After applying it, my new boss told me my brows were the first thing she noticed when I walked in the door. I’m not a scientist, but perhaps there is a correlation between using this particular offering and getting ahead at work. 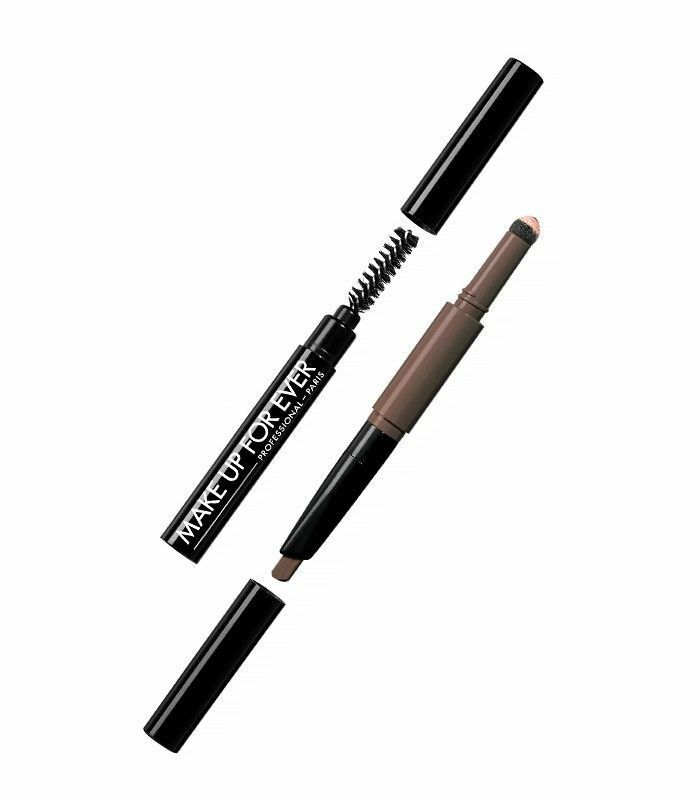 Essentially, Make Up For Ever knows the struggle is real, and it has dropped this product to check “effortless-looking brows” off your list of things to do. This specific pencil isn’t available until March (apologies), but I recommend setting a Google Alert. You're going to love it. In the market for more brow products? These are the six best-selling formulas on the Internet.